VorBlade Truck system is your most powerful solution for reduction of cab air drag, significant improvement in fuel efficiency and increase in aerodynamic stability. VorBlades show great results with dry vans, refrigerators, tankers, and flatbed trailers. ZERO MAINTENANCE & EASY INSTALLATION: It takes less than one hour to install VorBlade Cab system. It consists of 48 individual units which is enough for any semi-truck and includes all necessary templates and adhesives. MATERIAL & COLOR OPTIONS: white, black, blue or red. VorBlade units are made from impact, temperature and UV resistant material. They will not fade or brake with temperature changes. Combine the benefits your gain from the VorBlade Tractor System with VorBlade trailer systems. Choose between EPA SmartWay Verified / CARB Compliant Wing System or a lightweight Standard Trailer System. If you are a long-haul operation and put lots of miles on your tractor, the biggest part of your operating cost is fuel. 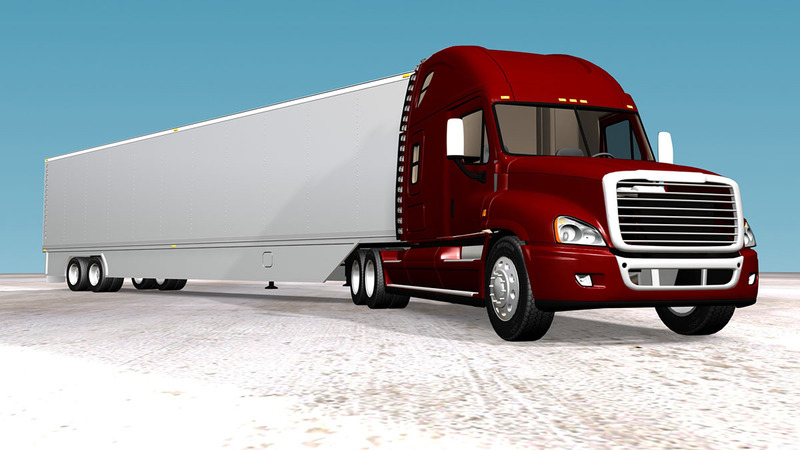 VorBlade Full Truck and Trailer System improves fuel economy by as much as 7% or more. VorBlade vortex generators on the trailer back slice the harmful tornado-like turbulent large-scale vortices. They reduce aerodynamic drag by about 55%. 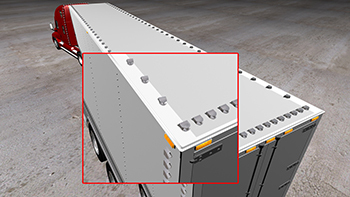 VorBlade trailer systems include the Cross Wind Mitigator subsystem, which reduces negative cross wind impacts by as much as 60%. One windy day can cost you more than VorBlade™ System. 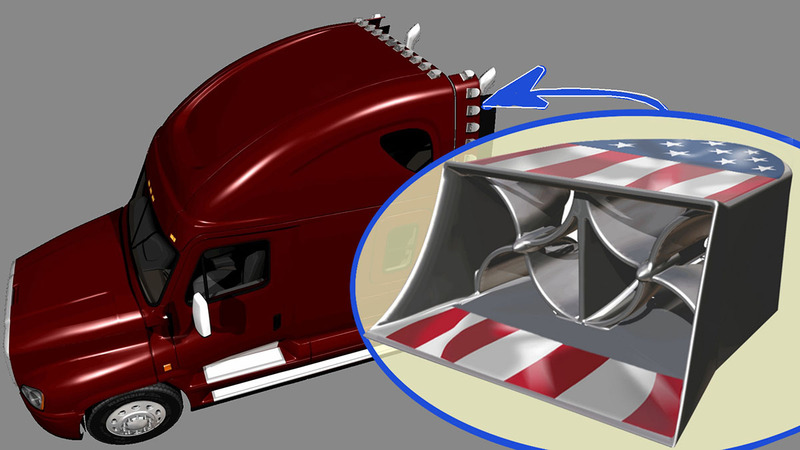 Aerospace-designed Small-Scale Vortex Generators have been used on motor vehicles before, but VorBlade is the FIRST (and ONLY) system specifically designed for highway speeds and conditions. Please click here if you need cab or cab & trailer systems for your semi-truck. If you pull dry van, reefer, flatbed or tanker, you are in a right place. Enjoy our special and save on fueling and maintenance cost, gain safety and aerodynamic stability. Driving a box truck, straight truck, RV or bus? Please refer here to see which system fits your vehicle best.